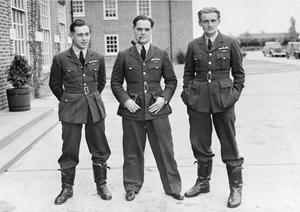 Three decorated fighter pilots of No. 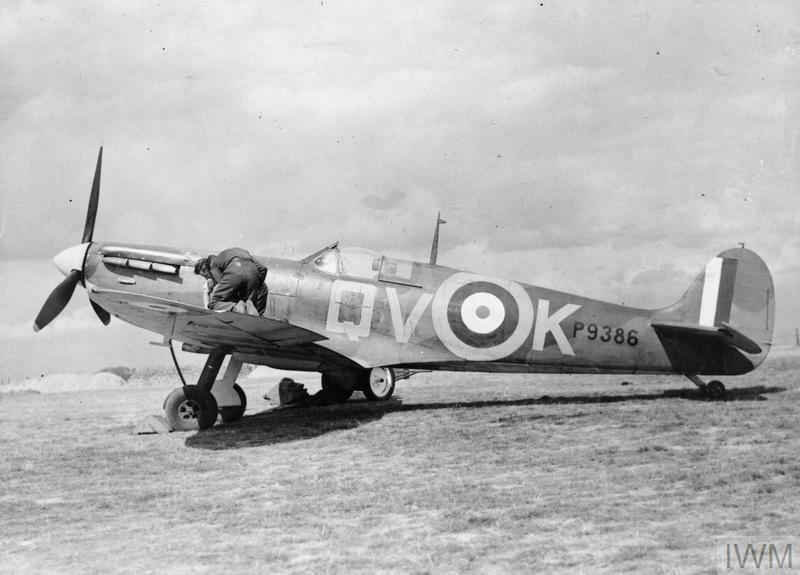 242 (Canadian) Squadron RAF, standing outside the Officers' Mess at Duxford, Cambridgeshire. 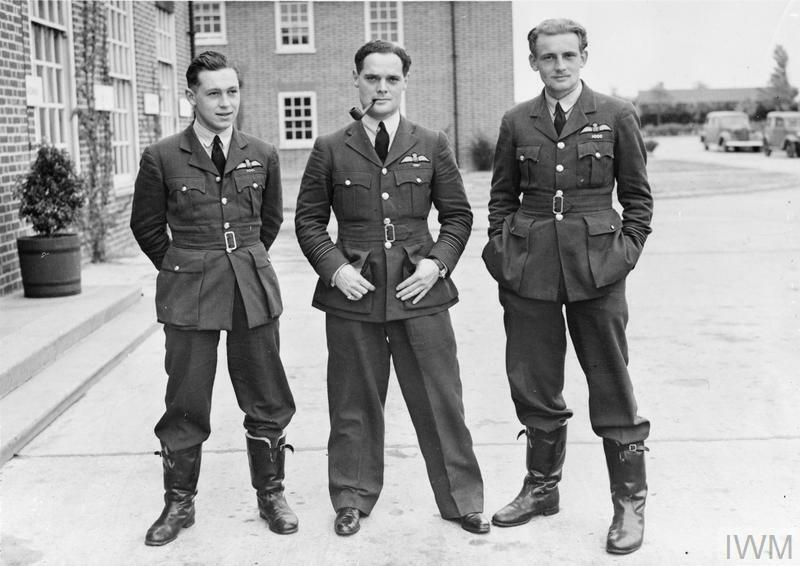 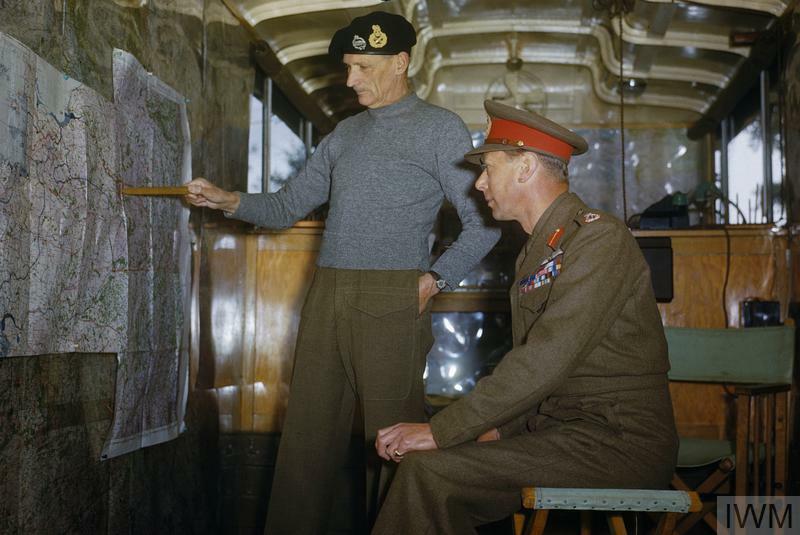 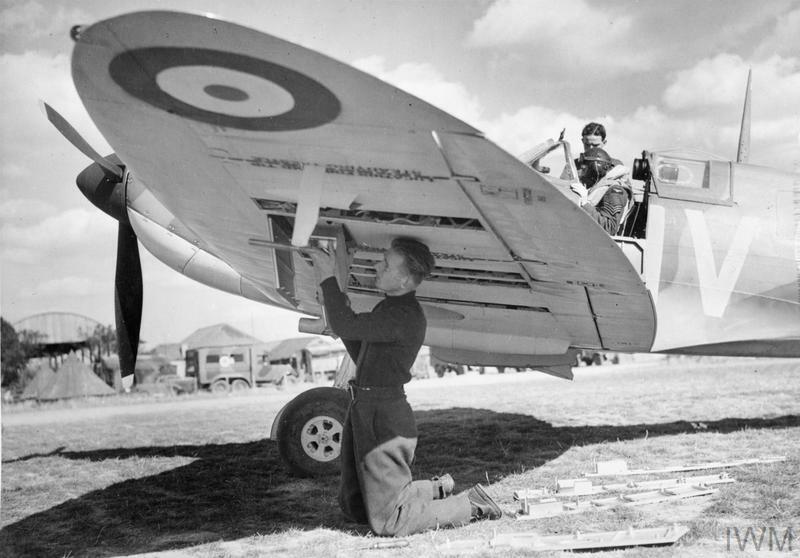 They are (left to right): Pilot Officer W L McKnight, Acting Squadron Leader D R S Bader (Commanding Officer), and Acting Flight Lieutenant G E Ball. 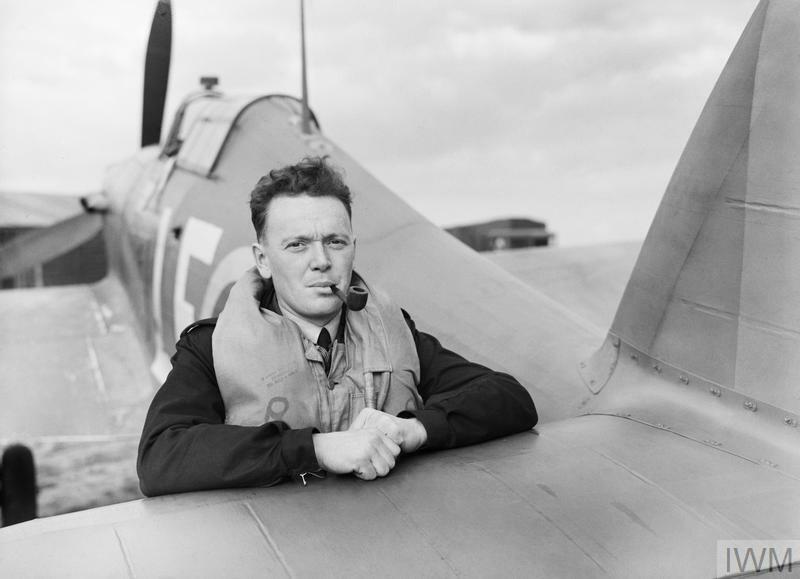 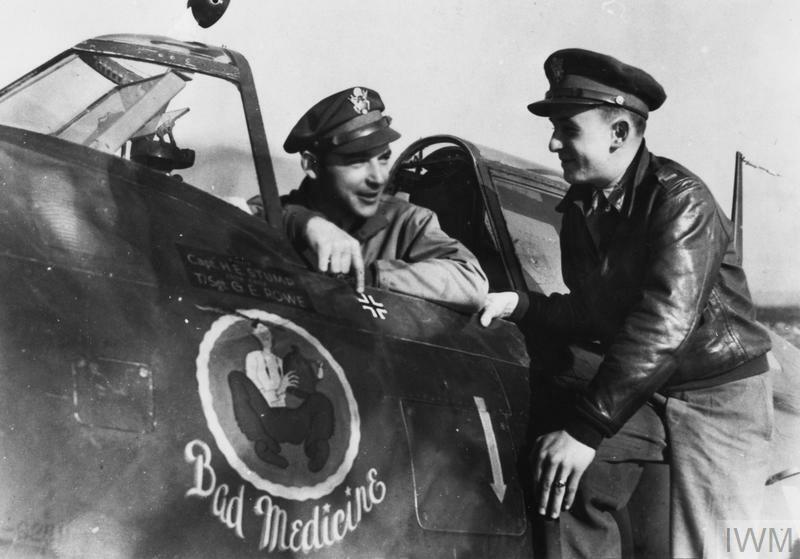 By the date this photograph was taken these pilots had, between them, shot down over thirty enemy aircraft.